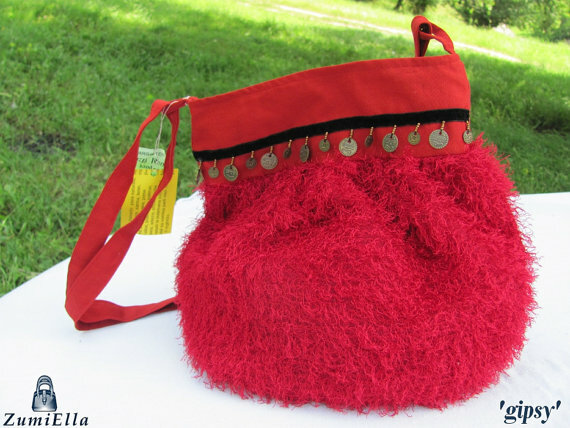 The Romanian husband and wife team along with Mom create many spectacular items from many different mediums. 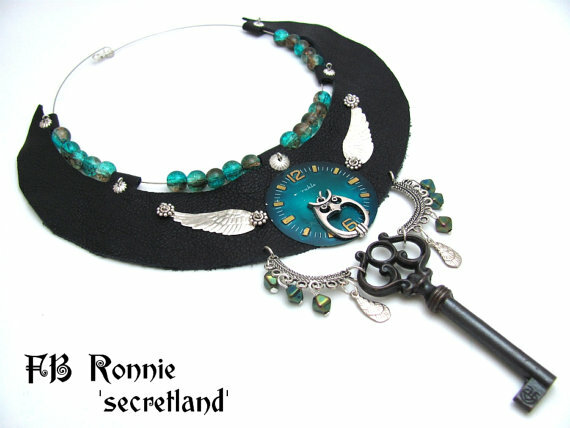 Veronica likes to create mostly steam punk style jewelry using leather, base metals, glass beads and recycle found objects. Bracelets and necklaces are her favorites. She says she enjoys creating these jewels and also wearing them. 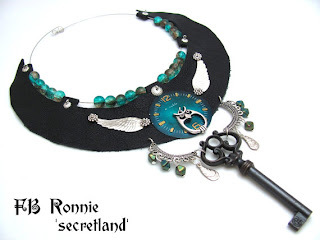 She also creates some special products from time to time: jewelry boxes, "steampunked" USB flash drives and collages. Stefan loves to work with wire. He uses mostly enameled copper wire and a variety of beads. His favorites are the rings and the bracelets. 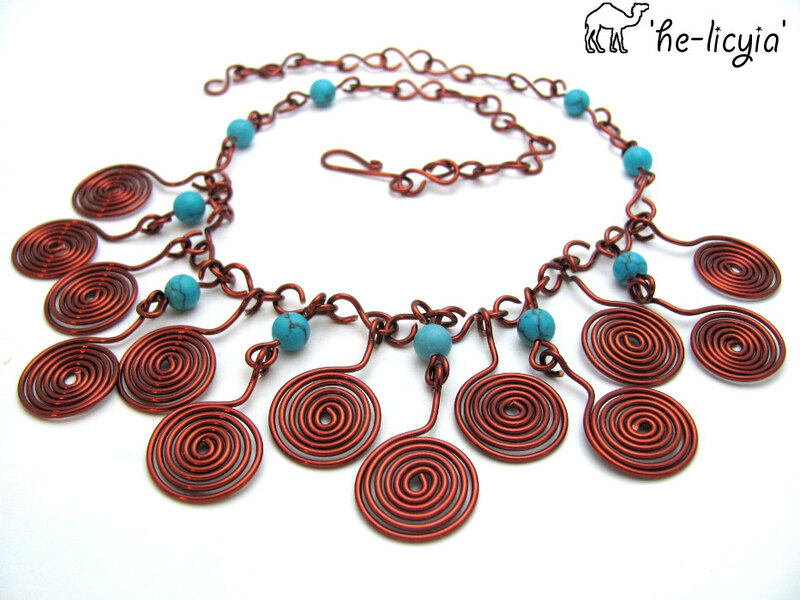 But he also creates stunning necklaces and earrings. Veronica's mother, Ghizela, is the Taylor of the family. She sews bags and purses mostly from denim. Combining other fabrics as well. Recently she started to work a series of headbands and colorful brooches. Everyone has day jobs except for Ghizela, who is retired, so the workshop for FBRonnie Handmade is at home for now. All would very much like to have a shop of their own, one side to sell the other to work and organize workshops from time to time. "Our dream is that some day we could quit our day-jobs and work for our small crafts business and sustain ourselves from our own hands work." Please visit FBRonnieHandmade at Etsy! I love FBRonnie Handmades shop! They have so much talent! Thank you so much for this wonderful article, Dan and Judy.